THE HEROESONLINE BLOG | WHERE DO I START? :: B.P.R.D. At this year’s HeroesCon, I stumbled into a conversation between B.P.R.D. artists Jason Latour and James Harren in which I mentioned that I had not read B.P.R.D. and I wasn’t sure it was for me. Not daunted at all by my hesitation, Jason immediately suggested that I start with Plague of Frogs and assured me that I would like it. August rolled around without me picking up any of the trades on our shelves until I had a week without many new comics in my reserve bag and decided to pull volume 3 and it give it a go. Cut to about a week and half later and I am about to start volume 13. B.P.R.D. trades include a handy character section in the front that give you a paragraph of information about each character which is very helpful for new readers coming into these stories cold. I never felt hindering in my reading or understanding of the story based on my lack of prior knowledge. The main cast is engaging enough to work through any hesitation due to lack of known history. It speaks volumes to me that while being so different from us regular people, each member of the team is very relatable in their own way. Mike Mignola and John Arcudi do an excellent job of letting each character shine throughout the stories. 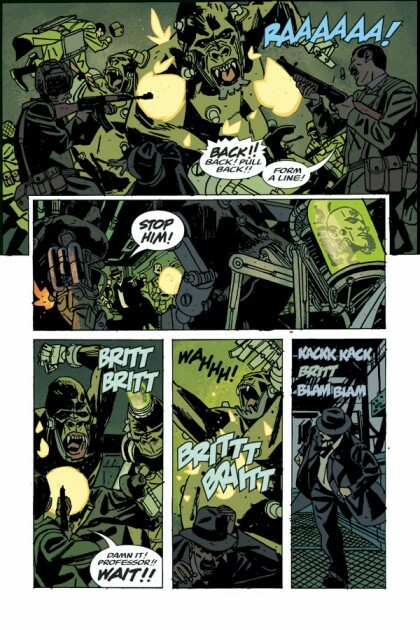 Guy Davis does an impressive job with the art, especially considering the number of issues he worked on during his B.P.R.D. tenure. Any artist that can put in that many issues without showing fatigue is impressive in my book. I also enjoyed the guest artist spots from those familiar to me from other Dark Horse books like Karl Moline (Fray, Buffy the Vampire Slayer) and Fabio Moon and Gabriel Ba (Umbrella Academy). I would absolutely love to see a whole volume of young Liz stories by Moline. If you want to stick a toe into the B.P.R.D. world, there are two stand alone stories in the midst of the volumes I’ve read so far: 1946 and 1947 which deal with the very early formation of the unit without the current cast. 1947 might just be the best of these two for including a little Hellboy and his dog throughout the volume. 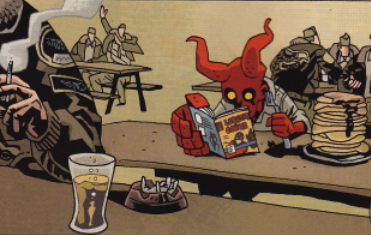 I do so adore little Hellboy. Don’t let the fact that B.P.R.D. spun off from Hellboy intimidate you as you do not need any prior knowledge from the Hellboy series to fully enjoy B.P.R.D. 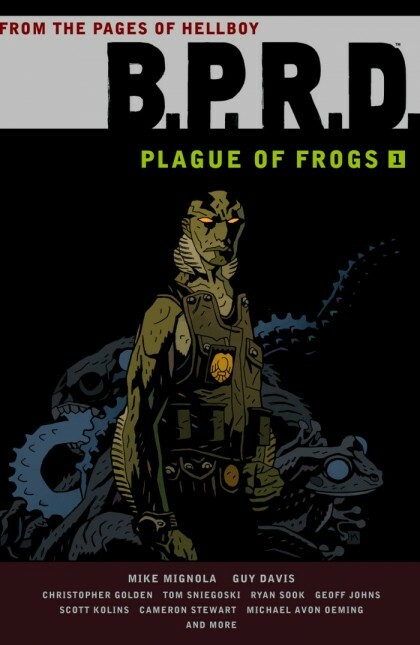 Mike Mignola and company have created a series that can fully stand on its own. I LOVED 1947. LOVED it. They just did everything right. I agree with you Heather although I did start with Hellboy but never picked up a copy of B.P.R.D. until 1946 came out then I went back and started reading all the B.P.R.D. trades. Their stories have more of an X-Files feel to them and I love the characters and the whole team. 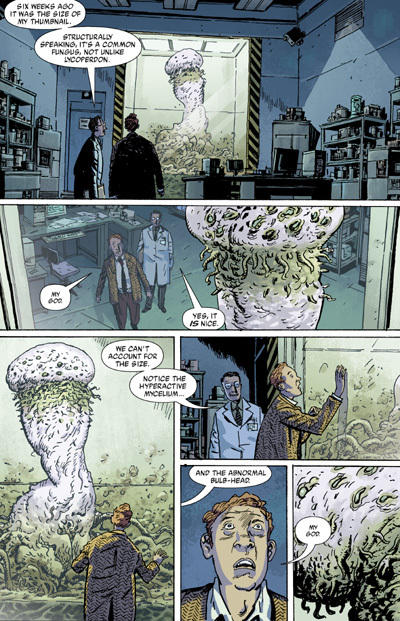 I’d highly recommend reading Hellboy after you’ve given B.P.R.D. a shot because once you understand both story lines and how they intertwine based on each parties actions then that Hellboy/B.P.R.D. universe grows and becomes so much more fun to read and become apart of!